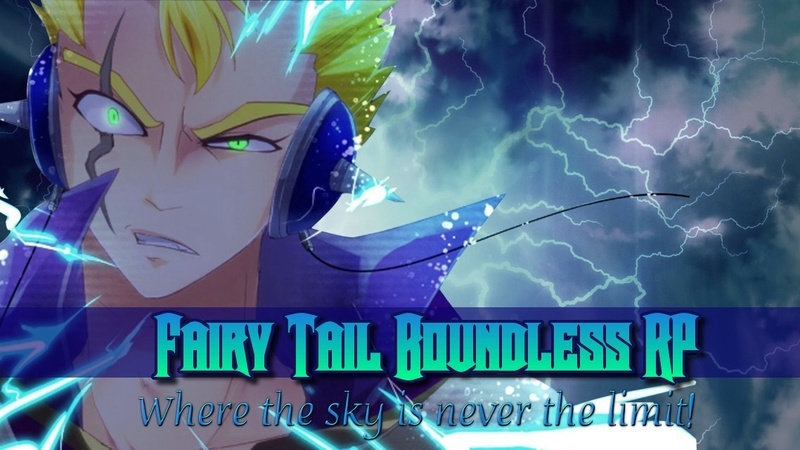 Here at Fairy Tail Boundless, every single person has magic in their bodies. Magic is the physical embodiment of the spirit. When the physical spirit of an organism connects with the spiritual flow of nature, the spirit forms Magic as a product of the connection. It takes an enormous amount of concentration and mental ability to use Magic. Caster magic uses the mage's body as a medium to cast their spells. Those who use caster magic tend to have a lot of magic power inside their bodies. It gives caster magic users a great variety of spells they could use for any purpose. Caster’s are the bread and butter when it comes to offensive damage, they’re adept in their control of magic. However, as magic is needed to be pulled from their bodies, they suffer faster stamina loss than holder types. Caster magic cannot be combined with Holder Magic into one magic. A magic that uses one or more elements. It can be anything from storm magic to plant magic, to fire magic to you name it. If it uses elements, it is possible. Elemental magic is basic in simplicity but highly effective. Mages who wield the elements typically theme after the element they represent, channeling their beings into the craft they output. A type of magic where the caster creates inanimate or even animate objects out of an element. Creation/Maker is similar to elemental magic, but with a broader scope that can range from the physical creation of cartoons, to living energy, to non-living energies as well. The scope is such a wide gap that Creation/Maker magic happens to be one of the more creative sub-categories. A powerful magic that allows the caster to "take over" and absorb anything from creatures, to demons, to even holy beings. From ranks D to A a takeover wizard can only perform partial take overs. Augmenting their bodies, they undergo physical transformation, which signifies they are emulating powers demonstrated by other creatures or entities. A powerful magic that allows the caster to store weapons and armors in a pocket dimension and summon them in battle to fight with. ReQuip is a special caster magic used to obtain items, weaponry, clothing and armor at a moment's notice. User’s of this class tend to focus on physical attacks. As stated, this magic is very powerful, so in order to keep it balanced, at each rank you can summon more and more weapons. Summoning magic, is a magic where a caster summons beings from another dimension to help you fight. Their own abilities, should they focus on them, is usually buff types, in addition to their powers to summon. Summoners have the power to cast healing effects, give their summons bonus features, or affect the aggression/attitude behind their creatures. They’re usually very persuasive in theme, or deceitful. A combination of both caster AND holder magic. The caster makes contracts with celestial spirits and summons them with their gate key so they will fight alongside the caster in battle. There are two types of gate keys. Gold and silver. These keys are the keys of the 12 zodiac gates. They are extremely rare AND powerful. Only two of these keys may be possessed at any given time. These are not as powerful as the gold keys and are completely common. However, they are extremely plentiful. Magics that have been lost to history and the present day. Lost Magic is a special magic that requires you to sacrifice your secondary magic for them. The exception is slayer magic. Any user of a lost magic, gains one extra natural spell slot. Magic used to slay creatures by taking on attributes of those creatures. There are three types of Slayers; Dragon, God, and Demon/Devil. Slayers may only have another slayer for their secondary. Meaning they can only become a third gen, or mixed gen slayer. Dragon Slayers are slayers who take on attributes of a dragon. Claws to rip through dragon scales and innards. Talons for gripping onto dragons. Dragon lungs to blow away a dragon with their breath. Dragon slayers are able to consume the pure form of their element. Dragon slayers are not capable of consuming the element of their god or demon/devil slayer counterpart due to the fact that their elements are mixed with either light or darkness. They are immune to the effects of their respective element but, they cannot consume their element when it is created by their magic. Consuming their respective element replenishes a dragon slayers magical power. First Gen. Dragon Slayers have learned the magic from the Great Dragon of their respective element. First Gen Dragon Slayers can attain dragon force by devouring magic power worth of their element added together will allow them to trigger dragon force(50% physical boost and 300 MP boost overall). One can also devour 700 magic power of raw mana if one can obtain a source (ex. Etherion cannon). Also you can't eat your own magic. Force will result in a large physical and magical boost which is unique to each slayer whilst in their force mode. 1st generation dragon force lasts 10 posts. Second Gen. Dragon Slayers have obtained the magic through a Lacrima produced from the Great Dragon of their respective element. Second Gen Dragon Slayers can attain Dragon force at will. However, second generation slayers have the weakest Dragon force of them all boost wise(35% physical boost and 100 MP overall boost). Resulting in a smaller overall boost however while in Force mode, they recover mana at an accelerated rate of 5% more than normal. 2nd generation force lasts 15 posts (and can only be used once per thread). Third Gen. Dragon slayers can also attain their dragon force at will, although, they don’t have the boost drop second gen has. They receive the same boost as 1st generation slayers and will also have the mana regeneration boosts as 2nd generation slayers. Slayer mode lasts fifteen posts and can only be used once per thread. The lacrima of a third generation slayer will result in no secondary magic. Mixed generation dragon slayers are first generation slayers who have a dragon slayer lacrima that is different from their respective element imbued in their body that allows them access to a second element and a mixed mode where they can utilize both elements together. God slayers are slayers that are capable of killing gods and other divine and holy beings. Just like dragon slayers, they consume their respective element in its pure form but, they can also consume their respective element from the dark end of the spectrum. Consuming their respective element replenishes their magic power. A god slayer's element is always a black version of it. Example: Flame god slayer uses black flames. God slayers CANNOT consume the element of their demon/devil slayer counterpart. First Gen. God Slayers have learned the magic from the God of their respective element. First Gen God Slayers can attain god force by devouring 700 magic power worth of their element added together will allow them to trigger god force(50% physical boost and 300 MP boost overall). One can also devour 1000 spell power of raw mana if one can obtain a source (ex. Etherion cannon). Also you can't eat your own magic. Force will result in a large magic and physical boost which is unique to each slayer whilst in their force mode. 1st generation god force lasts 10 posts. Second Gen. God Slayers have obtained the magic through a Lacrima produced from the God of their respective element. Second Gen God Slayers can attain God force at will. However, second generation slayers have the weakest God force of them all boost wise(35% physical boost and 100 MP overall boost). Resulting in a smaller overall boost, however while in Force mode, they recover mana at an accelerated rate of 5% more than normal. 2nd generation force lasts 15 posts (and can only be used once per thread). Third Gen. God Slayers have learned the magic from the God of their respective element, as well as imbued themselves with Lacrima from the same God. Third Gen. God slayers can also attain their God force at will, although, they don’t have the boost drop second gen has. They receive the same boost as 1st generation slayers and will also have the mana regeneration boosts as 2nd generation slayers. Slayer mode lasts fifteen posts and can only be used once per thread. The lacrima of a third generation slayer will result in no secondary magic. Mixed generation god slayers are first generation slayers who have a god slayer lacrima that is different from their respective element imbued in their body that allows them access to a second element and a mixed mode where they can utilize both elements together. devil slayers are on par with god slayers. They can consume their respective element in its purest form as well as being mixed. However, unlike a god slayer, a devil slayer's element is on the light end of the spectrum. Meaning, a devil slayer's element will always be a white version of its pure form. Just like how god slayers cannot consume devil slayers' element, devil slayers cannot consume a god slayer's element. Just like dragon and god slayers, devil slayers are immune to their respective element. First Gen. Devil Slayers have learned the magic from the God of their respective element. First Gen Devil Slayers can attain god force by devouring 700 magic power worth of their element added together will allow them to trigger devil force(50% physical boost and 300 MP boost overall). One can also devour 700 magic power of raw mana if one can obtain a source (ex. Etherion cannon). Also you can't eat your own magic. Second Gen. Devil Slayers have obtained the magic through a Lacrima produced from the Devil of their respective element. Second Gen Devil Slayers can attain Devil force at will. However, second generation slayers have the weakest Devil Force of them all boost wise(35% physical boost and 100 MP overall boost). Resulting in a smaller overall boost, however while in Force mode, they recover mana at an accelerated rate of 5% more than normal. 2nd generation force lasts 15 posts (and can only be used once per thread). Third Gen. Devil Slayers have learned the magic from the Devil of their respective element, as well as imbued themselves with Lacrima from the same Devil. Third Gen. Devil slayers can also attain their Devil force at will, although, they don’t have the boost drop second gen has. They receive the same boost as 1st generation slayers and will also have the mana regeneration boosts as 2nd generation slayers. Slayer mode lasts fifteen posts and can only be used once per thread. The lacrima of a third generation slayer will result in no secondary magic. Mixed generation devil slayers are first generation slayers who have a demon/devil slayer lacrima that is different from their respective element imbued in their body that allows them access to a second element and a mixed mode where they can utilize both elements together. Storm Slayers are the only slayers that are able to consume three elements without being a mixed gen. Storm slayers are able to consume one of their three respective elements while the other two elements will cause them to have side effects. If they were to consume all three elements together as in an actual storm, they will have no side effects. Storm Slayers are unable to become third gen slayers. A mortal body could not handle that much storm inside their body. In order for a storm slayer to become a mixed gen slayer, they MUST give up one or two of their respective elements to do so. Magic power or MP, is what is used to produce your magic and cast spells. Each wizard has a certain of magic power in their bodies. At each rank, spells costs a certain amount of your magic power to be cast. Those costs are as follows. D-rank - regenerate 5 MP every five posts. C-rank - regenerate 10 MP every five posts. B-rank - regenerate 15 MP every five posts. A-rank - regenerate 20 MP every five posts. S-rank - regenerate 25 MP every five posts. SS-rank - regenerate 25 MP every five posts. Each wizard has a set of natural spells slots for both their primary and secondary magic. extra spell slots can be purchased in the shops. While the cooldown should always be 2 posts longer than the duration. Durations and Cooldowns are there in order to prevent spell spamming of any one spell. Once the cooldown is done, that particular spell can be used again. In the case you choose to go without a duration for any of your spells, the cooldown should always be at least 3 posts more than the duration. However, most spells should have both a set duration and cooldown with the exception of maybe 2 or 3. Point blank range: Spread out your arms. There you go. That’s point blank range. Close Range: 10 ft(3.048 m). Short Range: This is human range. 100 ft (30.48 m). For Projectiles in offensive spells, depending on rank of the spell, it can only fire a certain amount. In spells, they can sometimes be supplementary. This allows them to grant the caster or even maybe allies buffs and enemies debuffs. At each rank, a spell can only buff or debuff to a certain percentage. Regardless of the buff or debuff type. Over time, a wizard is able to unlock more spell slots for their secondary magic by purchasing them from the magic shop and training them. Just like when you first unlock your secondary magic, you must have a wizard of higher rank train you to learn your new spells. A signature spell, is a spell that only one person in the whole world knows how to cast and use. It is related to the theme of their magic and is simple in its design. Each mage is capable of casting a signature spell. Signature spells give you a free extra spell slot and have no mana cost but can also only be used twice per thread. A signature spell becomes more powerful as you rank up but still has no cost. Every mage has a total of two signature spells. Those two signature spells are unlocked at certain levels. When your signature spells are unlocked, they MUST equal the power of the rank they are unlocked at, and can only be edited to be stronger when you rank up. SS and X Rank being excluded from this. Please Note: The staff member who grades your primary or secondary magic application will use not only these rules but their own personal judgement to decide what is OP and what is not. So please keep that in mind.